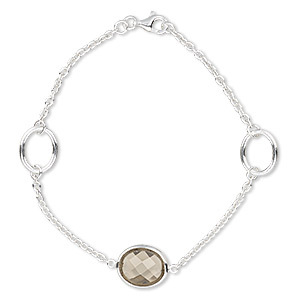 Bracelet, sterling silver and cubic zirconia, smoky grey, 12mm wide with 13x12mm oval, 7 inches with lobster claw clasp. Sold individually. 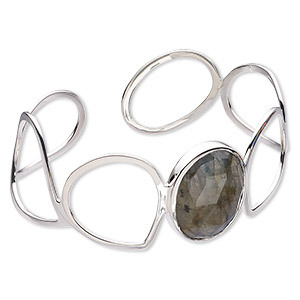 Bracelet, cuff, labradorite (natural) and sterling silver, 27mm wide with faceted oval, 7-1/2 inches. Sold individually. 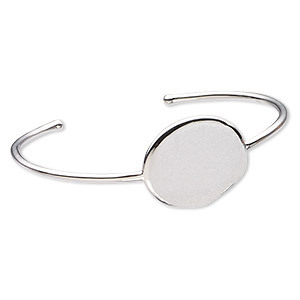 Bracelet, hinged bangle, garnet (natural) and sterling silver, 8mm wide with 6mm round and 9x6mm pear, 6-1/2 inches with safety latch. Sold individually. 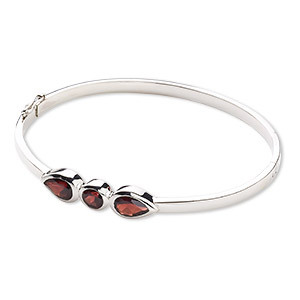 Bracelet, garnet (natural) / cubic zirconia / sterling silver, clear, 12.5mm wide, 7 inches with toggle clasp. Sold individually. 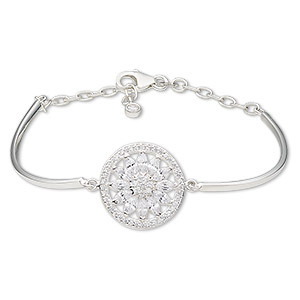 Bracelet, sterling silver and cubic zirconia, clear, 2mm wide with 20mm flat round and flower, 7 inches with 1-1/2 inch extender chain and lobster claw clasp. Sold individually. 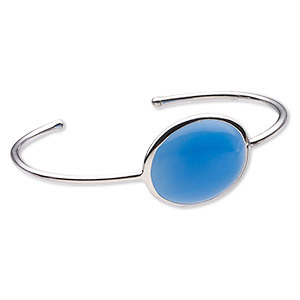 Bracelet, cuff, blue chalcedony (dyed) and sterling silver, 22mm wide with oval, 7-1/2 inches. Sold individually. 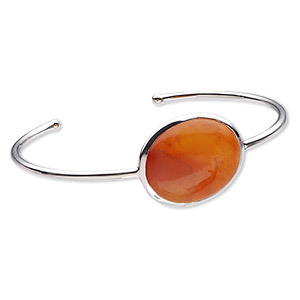 Bracelet, cuff, carnelian (dyed / heated) and sterling silver, 22mm wide with oval, 7-1/2 inches. Sold individually. Bracelet, cuff, druzy agate (natural) and sterling silver, 23mm wide with oval, 7-1/2 inches. Sold individually. 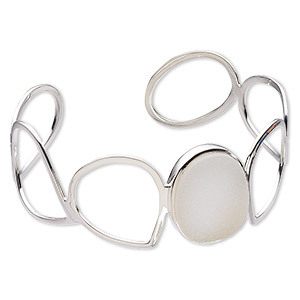 Bracelet, cuff, druzy agate (natural) and sterling silver, 27mm wide with oval, 7-1/2 inches. Sold individually. 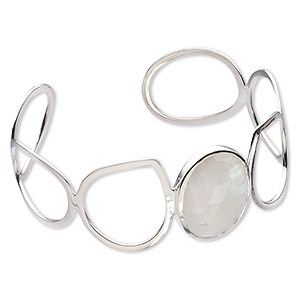 Bracelet, cuff, rainbow moonstone (natural) and sterling silver, 27mm wide with faceted oval, 7-1/2 inches. Sold individually. 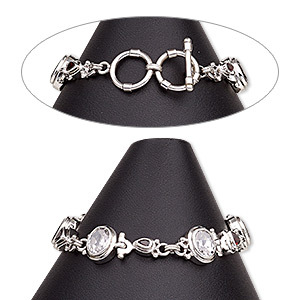 Bracelet, sterling silver / cubic zirconia / silicone, clear, 3.5mm wide with (2) 4mm balls, adjustable from 5-1/2 to 9 inches with 8mm adjustable slider bead. Sold individually.